These 24 sermons on the Beatitudes are without equal. Robert Harris was a preacher at Hamwell, replacing the famous John Dod. He was a member of the Westminster Assembly of Divines, and later president of Trinity College, Oxford. All men seek for happiness, but here Harris lays down not only the essence of true happiness, but how it is to be obtained. True happiness can only come with true blessedness; and that can only come from the source, God Himself. This is some of the most insightful, comforting material you will read anywhere. 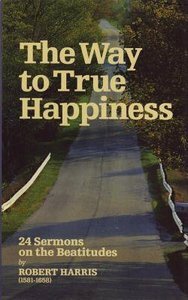 About "Way to True Happiness"